Heeding this exhortation, the elder monks of Drepung Loseling have dedicated their lives to preserving and sharing the Buddha dharma through the most difficult of times. 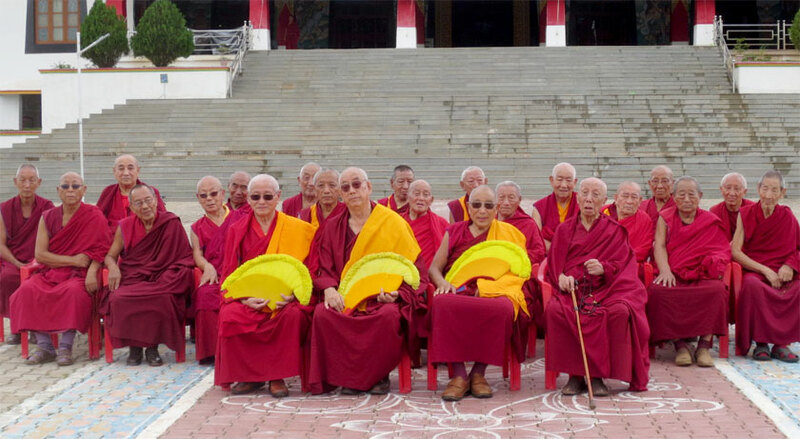 Despite the heartache of losing their homeland, they persevered through the physical and mental hardships of a life in exile to re-establish one of the world’s greatest monastic institutions and preventing the extinction of the Tibetan tradition. After following His Holiness the Dalai Lama to India, these elder monks—then young men—met the challenges of a new culture and environment head on. Suffering through material privation and illness, they found hope and inspiration in their teachers, their scholastic studies, and their spiritual practice. Putting aside their own needs and wishes, they engaged in grueling farming and construction work in order to create the thriving monastic community that now exists in southern India. 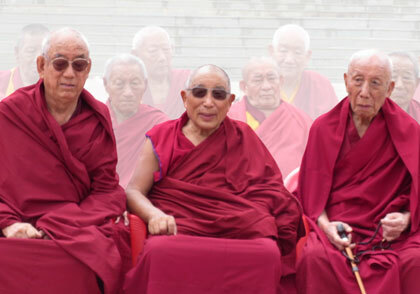 Now in their 70s, 80s, and 90s, these elderly monks have a number of special needs, often as a result of the physical sacrifices they made during the early years of the Tibetan diaspora. Your gift will be used to provide specialized healthcare, better nutrition, and assistance with day-to-day activities such as laundry, transportation, and personal care. Easing their challenges will help them to remain an important source of inspiration and guidance. You can show your appreciation for these elderly monastics through a gift to the Senior Monk Care Fund. On-going sponsors are urgently needed—to make a monthly, quarterly, biannual, or annual gift, please fill out the attached form or contact Drepung Loseling Monastery, Inc.
of our homage; worthy of our respects. A tax-deductible gift in any amount is welcome, and you can also help by sharing this project with others. All funds will be used for the direct and on going care of the aging monastics of Drepung Loseling Monastery in India. Senior monks of Drepung Loseling seated in front of the Main Prayer Hall. Drepung Monastery was founded on a hillside outside of Lhasa, Tibet, in 1416 by Jamyang Choeje, one of the four principal disciples of the great Tibetan scholar and adept, Je Tsongkhapa. Drepung grew into a grand monastic university and at its zenith housed over 10,000 monks and was comprised of seven colleges - much like early European universities such as Oxford and Cambridge. Known as Khemang Losel Jewai Ling Dratsang, the “Monastic College of a Million Brilliant Scholars,” Drepung Loseling became the largest of Drepung’s colleges and the one most renowned for its academic excellence. Today, re-established in exile in south India, Drepung Loseling continues to maintain that legacy with over 3,000 monks in residence.